« Get the butter, they’re on a roll!! Turner launches Wolf mat career!! Coupeville’s one-man wrestling team has officially arrived. Coming off an inter-squad scrimmage in which he won both of his bouts, Alex Turner split four matches Saturday at the 30-team Edmonds Invite. The Coupeville High School senior, who is training and traveling with 3A Oak Harbor but competing as a lone Wolf, finished 5th in the 182-pound class. Both of Turner’s wins Saturday came via points, with 14-8 and 9-7 decisions. The majority of the teams represented in the Invite were 3A and 4A schools, while Coupeville is among the smallest of 1A institutions. Seeing a Wolf on the mat is an unusual occurrence, as CHS has no in-school wrestling program. 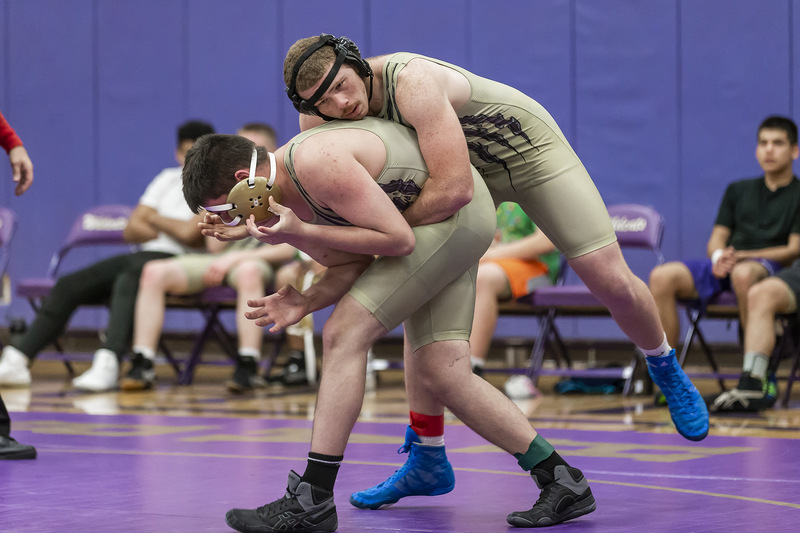 After transferring from South Whidbey, where he went to state as an alternate in the 170-pound class during his junior season, Turner faced the end of his grappling career. But, after a plea to the WIAA, he and his father, Joseph, were able to work out an agreement between the two Island schools. Turner will wrestle in tournaments, but can’t compete and score points for Oak Harbor in dual meets. He did take part in the annual Purple and Gold scrimmage, beating both Wildcat grapplers who stepped on the mat with him. Once the postseason starts, Turner will leave OHHS behind and head back down to 1A as he chases his Mat Classic dreams. “My goal is to make it to the second day of state this year,” he said.